Internet in Japan: Pocket WiFi or SIM card? Will multiple people use the Internet connection? Are you going to use a SIM-free device? Do you need to make/receive calls in Japan? If you want to access the Internet in Japan using your own smartphone or computer, you can either use our convenient Wi-Ho!® (Pocket WiFi) rental service or purchase a SIM card to use in your smartphone. 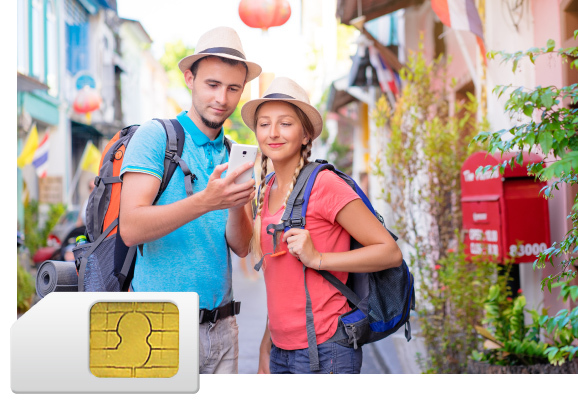 Both options provide Internet access while you are on the move, so you can actively tour around tourist destinations and post to social network sites. Get Wi-Ho!® if you want to cut costs by sharing an Internet connection during group travel with family or friends. Get a SIM card if you want to make/receive calls in Japan and connect to the Internet without carrying a WiFi device. You can enjoy a more affordable trip in Japan by selecting the package that suits your needs. 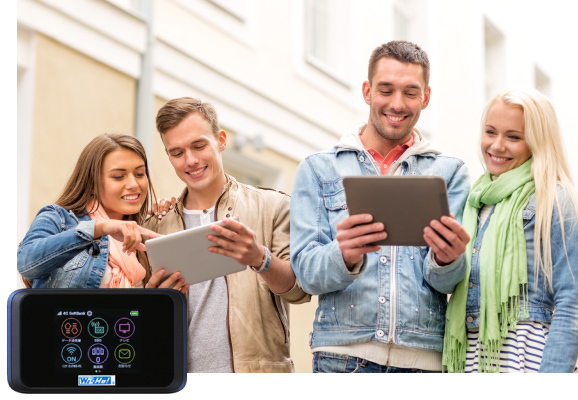 Turn on Wi-Ho!® (Pocket WiFi), enter SSID and password, then start using. Remove your SIM card from the smartphone, insert the SIM card you purchased, configure settings (APN, etc. ), then start using. Customers are required to show their passport (identification) when picking up products. Customers are required to show their passport (identification) when purchasing products. For purchasers of Voice SIM cards, we will make a copy of their passport in accordance with the law. Telecom Square is a global mobile solutions company specializing in mobile terminal rental. With 25 years of experience, we provide services to more than 500,000 users per year. We have counters at Japan’s major airports and operate a dedicated call center system to ensure peace of mind even when problems occur. In addition to WiFi router rental, we offer a strong lineup of backup services for travellers, including SIM card sales and mobile phone rental.